Hey everyone, first time posting here on tinboats. I've gotten a lot of info and ideas from the builds that have been posted previously. 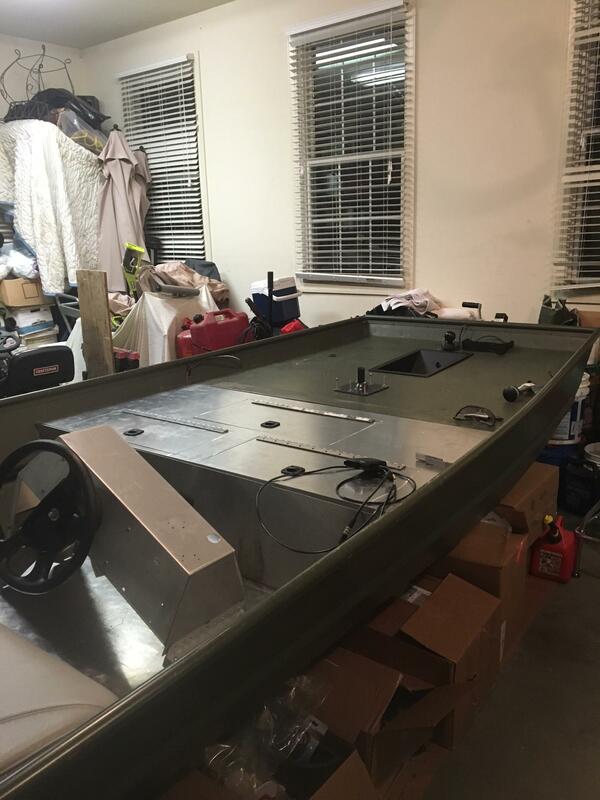 I recently picked up my first boat to build out for the electric only reservoirs here in Maryland. 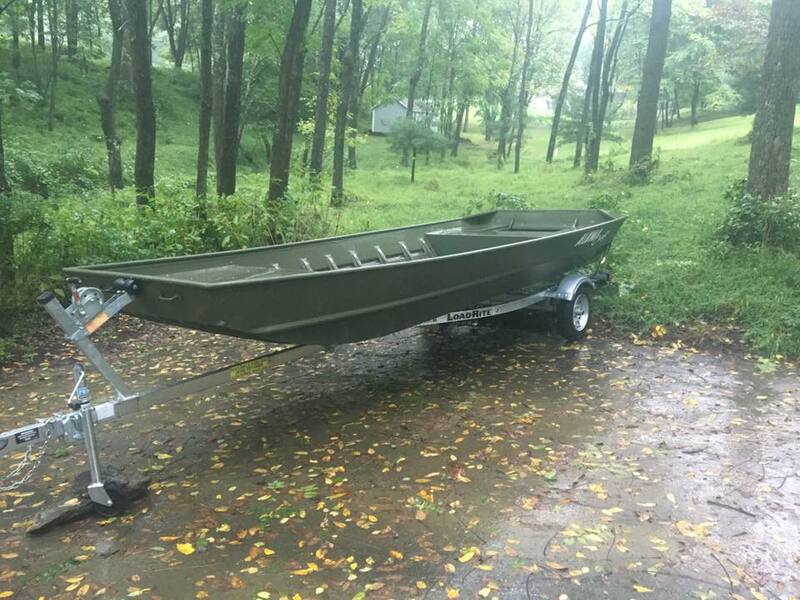 Like the title of the post says, it is an Alumacraft 1648 NCS Jon. 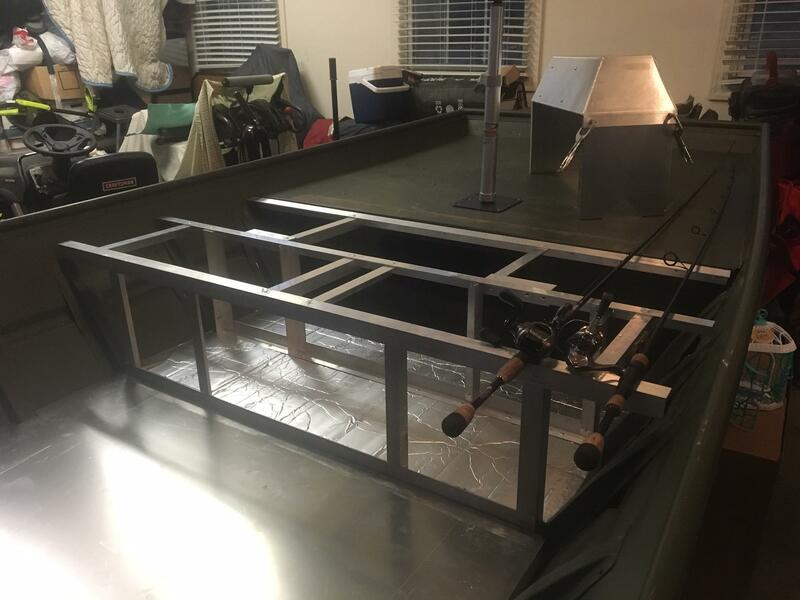 I wanted something stable and comfortable for my daughters and wife while also being a solid fishing boat for my dad, brother, friends and I. My current plans for the floor and decking are pretty simple. 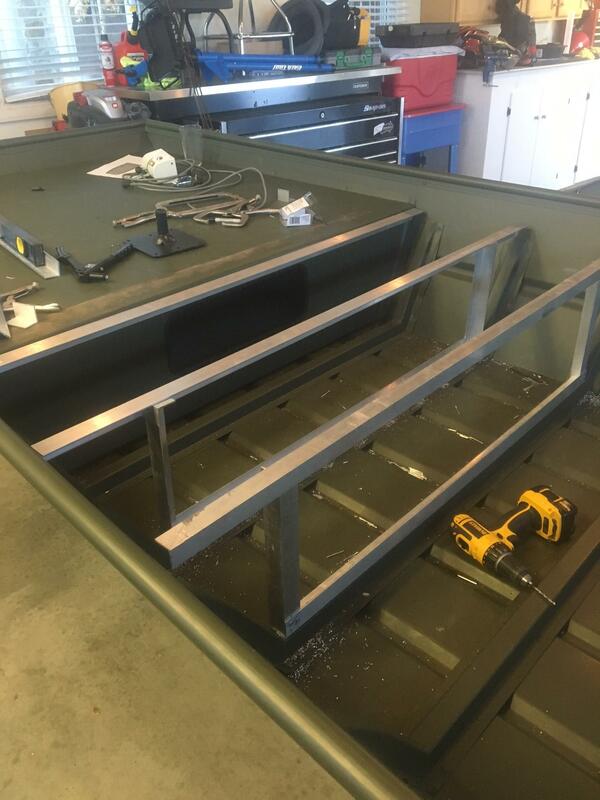 An extension off the existing front deck, 6 feet of floor laid on top of the ribs(with 1'1/2 polyethylene foam cut to size between ribs for floor stability and flotation), and another casting deck on the back. 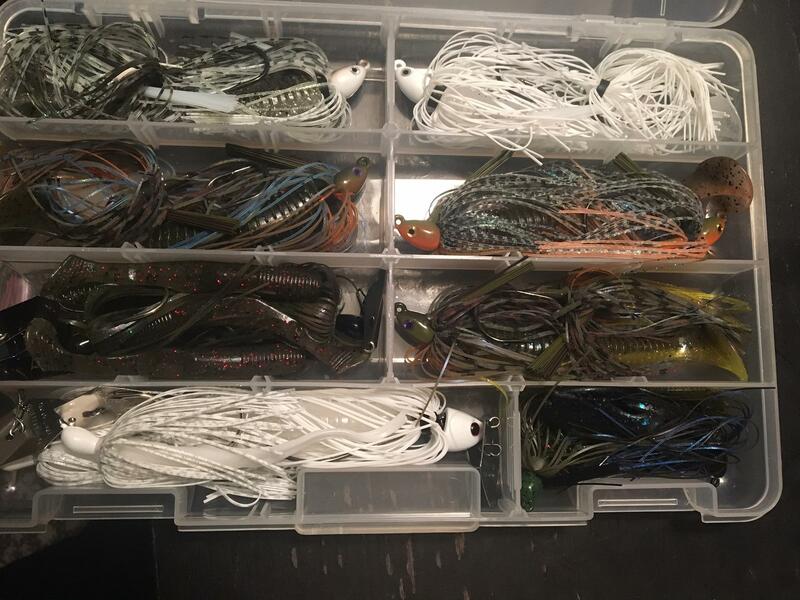 I only plan on doing 3 hatches, 2 in the front deck, 1 for batteries and the other for tackle, and one on the back to keep access to the plug. 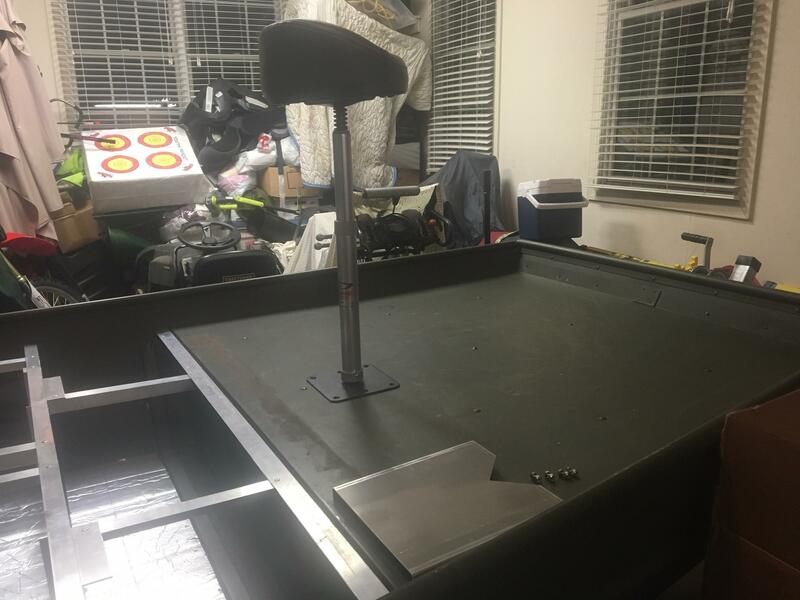 I'm planning to use .100 aluminum for the floor, .125 for the decks and aluminum angle framing. Planning on most, if not all pop-rivets, as I don't plan on drilling into the hull at all below the water line. Also want to do a small side console. Carpet or Hydroturf covering it all. 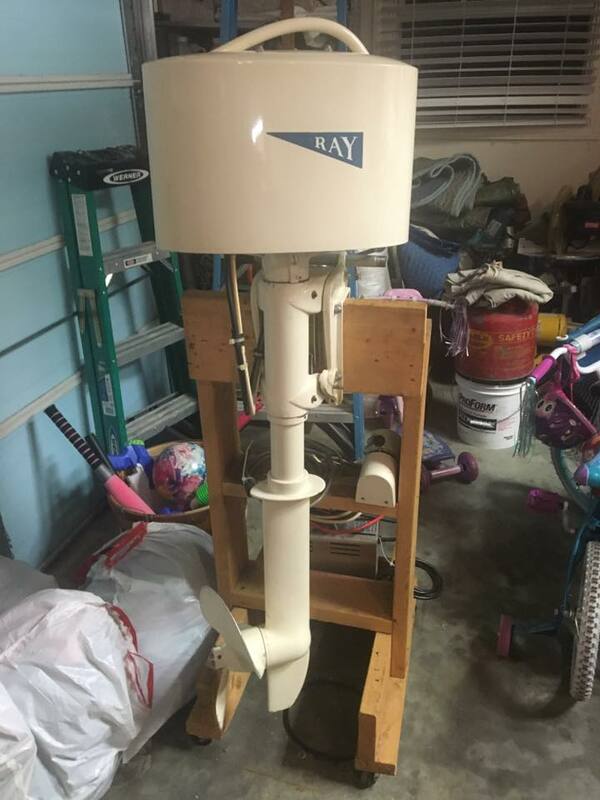 I also recently purchased a used Ray 48 volt electric outboard motor. It's in great shape and ran great during the testing, but I am debating if there is anything I should do maintenance-wise in order to ensure the outboard continues to function properly into the future. The wiring is all sound and something that I can refresh if needed. The previous owner ran this as a 36 volt system with 3 12volt batteries in series. 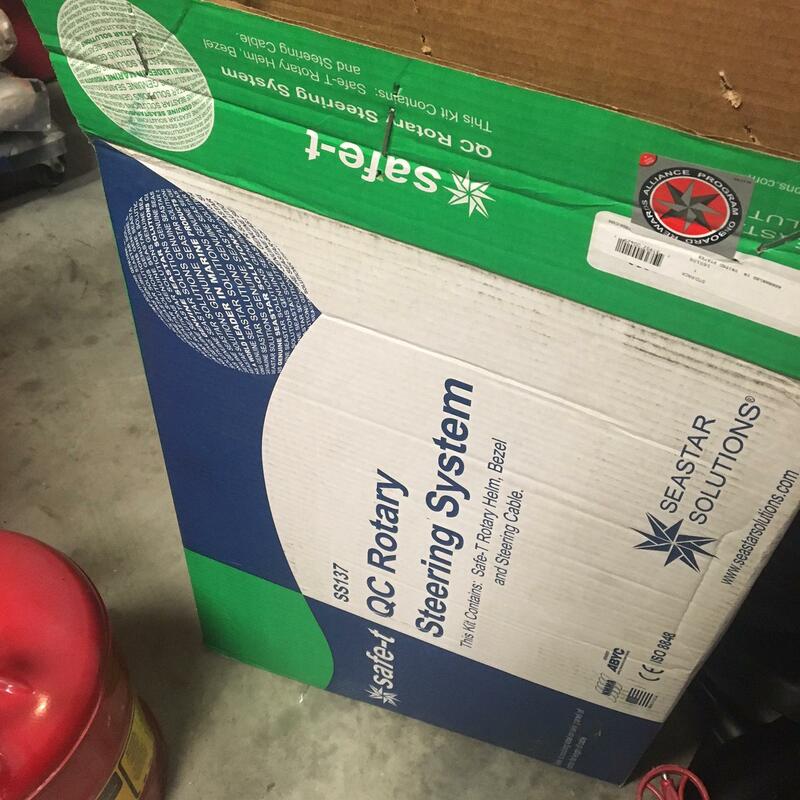 The manufacturer stated that the motor was produced as a 48 volt system, as all the speed controllers are rated 48 volt, PMC is 36-48volt and the motor itself labeled 36 volt(she also compared similar aged motors and the 48 volt systems with GE motors were labeled 36 volt...). I was planning to use this outboard as intended, with 8 6 volt batteries wired in series, using the 48 volt charger it came with. I look forward to sharing my build with you all and welcome any and all advice and suggestions. 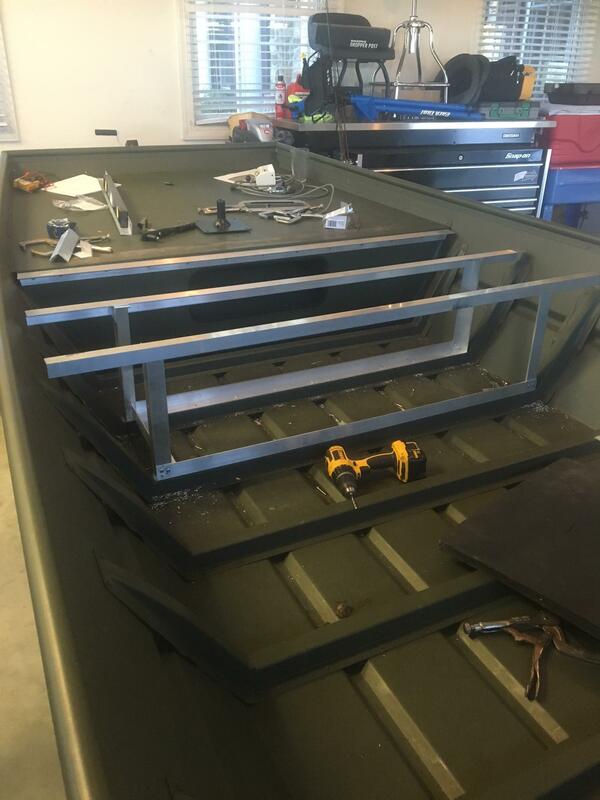 This is my first boat and first build so Im sure there are things I haven't thought about or considered. Please help if you see me veering off course or see a better way of doing things. THANKS! Last edited by MD_Electric_Bass on 17 Mar 2017, 07:42, edited 1 time in total. I have the exact same hull aside from having a 15" transom. I haven't done much to it and am going in a different direction than you appear to be but you can check it out; link is in my signature. I will be adding a small update here soon so look for it to be bumped to the top in the near future. Would a gas generator be legal? Seems like that would weigh less than 8 6V Lead batteries. 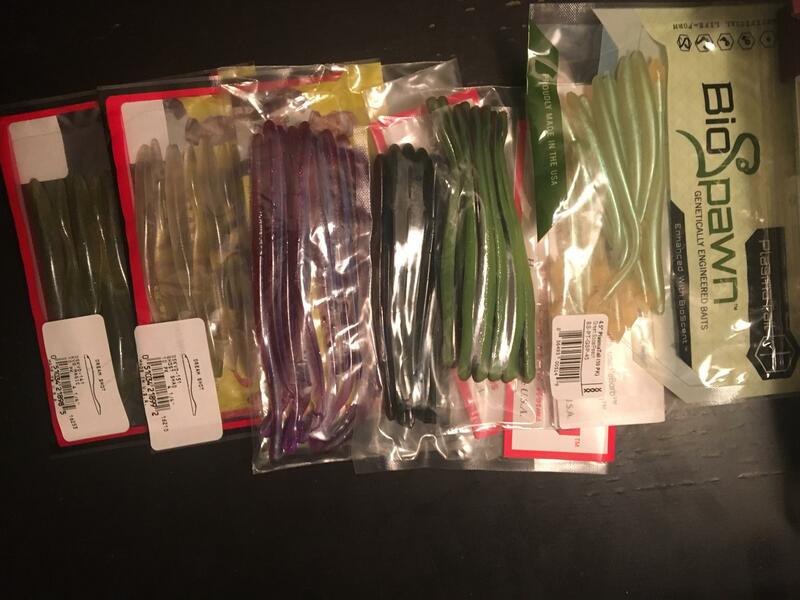 Thanks Jasper, its tough to think I'm going to have to wait for spring but it will be worth it! I have checked out your boat before on here since its the same hull. I am debating getting the trolling motor mount that you have so I took special interest in that part of your post. All said and done, would you recommend it? 48 volts DC can be very dangerous. We numb around with 12 and sometimes 24VDC so when the voltage goes higher so does the chance for severe burns and even death. It only takes 0.1 amps to stop the human heart. Break the skin in a cut and a 9vdc battery can kill you. If you short out 36-48VDC the sparks can be just like an arc welder. I would. 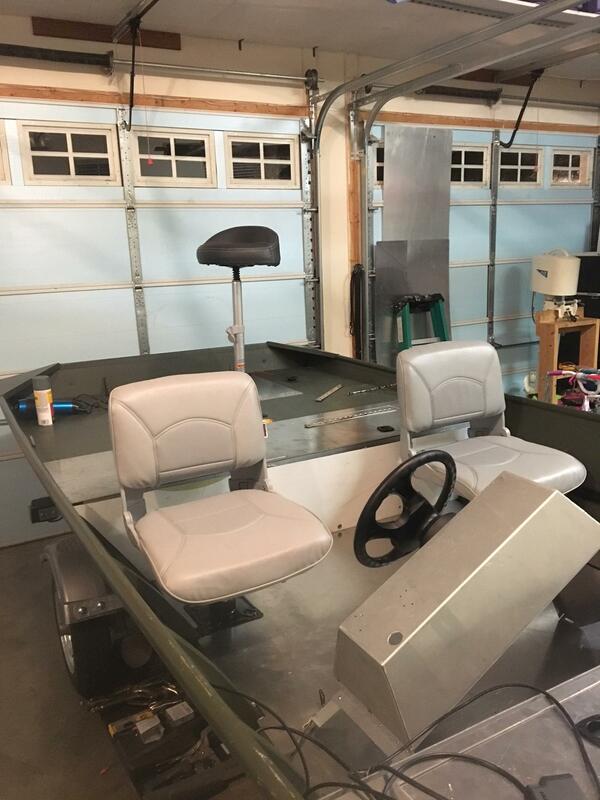 It's not rock solid as it has a little bit of twist to it when the trolling motor is turned sideways, however, it is sturdy enough for the 45 lb thrust motor I have. If it was over 55 lbs thrust I'd try to brace it some. 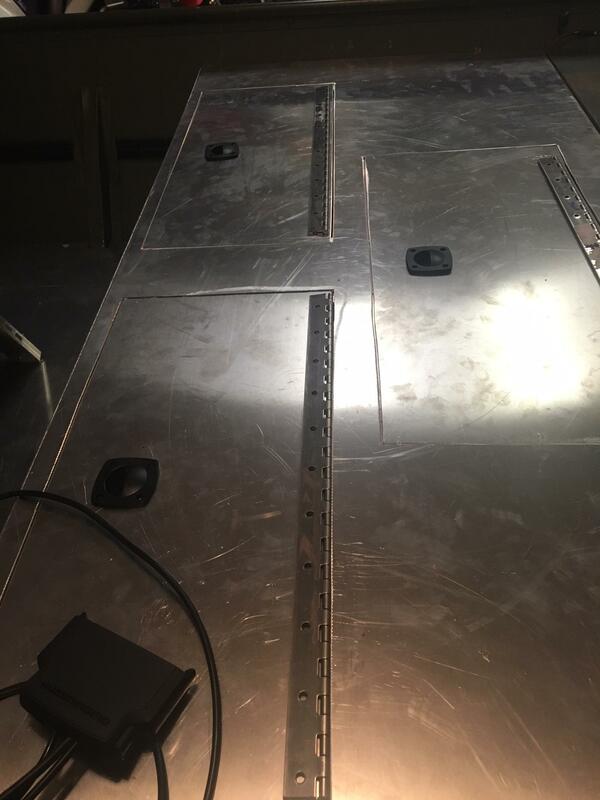 I think some fairly thin aluminum sides could be fabbed with a bent flange to fasten to the deck and it would stiffen it up considerably. 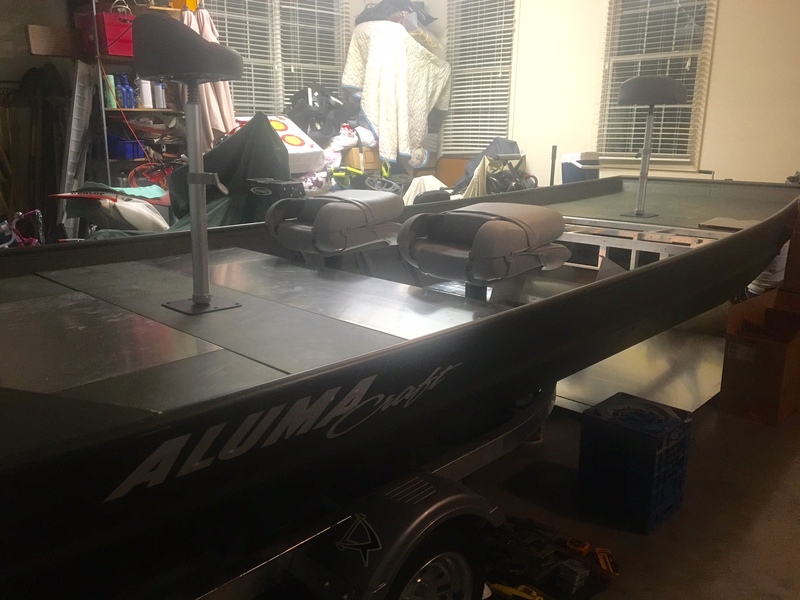 Alumacraft wants 20-40 bucks for it though so it may also be worth checking out to see if someone could make a stiffer one for you. Thank you for your awesome advice, I really appreciate it. 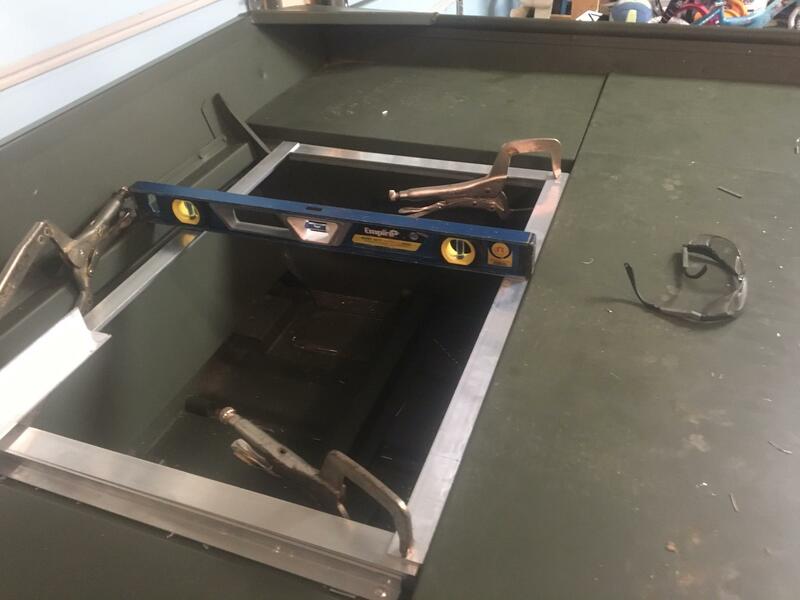 I am building a battery compartment under the deck, do you suggest that l still put them in battery boxes if they are secured in their own compartment? 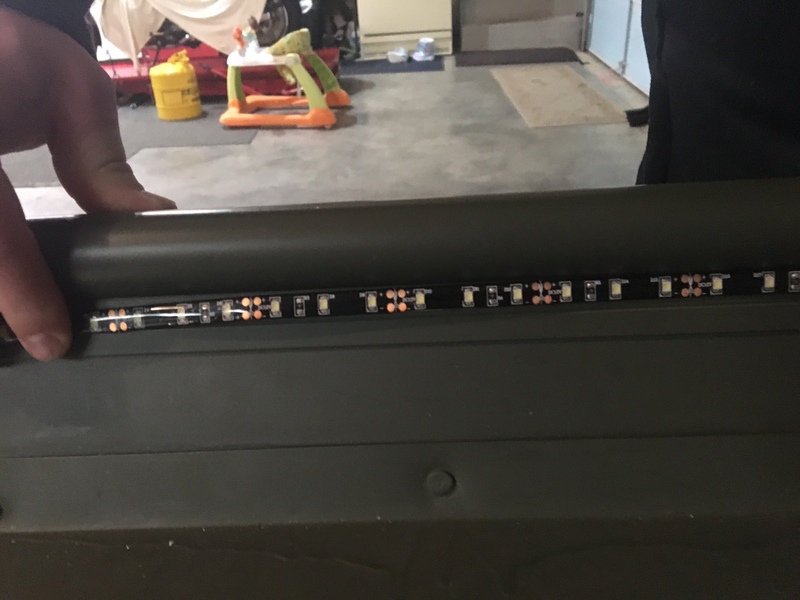 Any specific suggestions on type/brand, sites or stores to purchase from for the fuse, fuse holder and main power switch? I could be completely wrong but I think read information from the manufacturer that stated the motor pulls 75 amps when full throttle, so an 80 amp fuse inline, on the positive lead as close to the battery as possible? 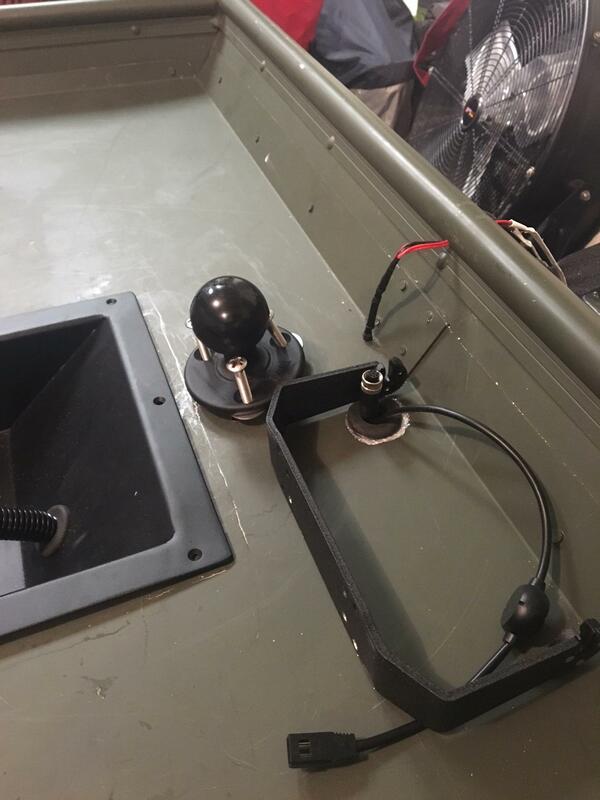 The control box produced by the manufacturer and included with the motor has a key switch for turning on and off power to the motor I plan to use this to turn off the outboard when fishing and using the 24volt Bow mount Trolling motor. 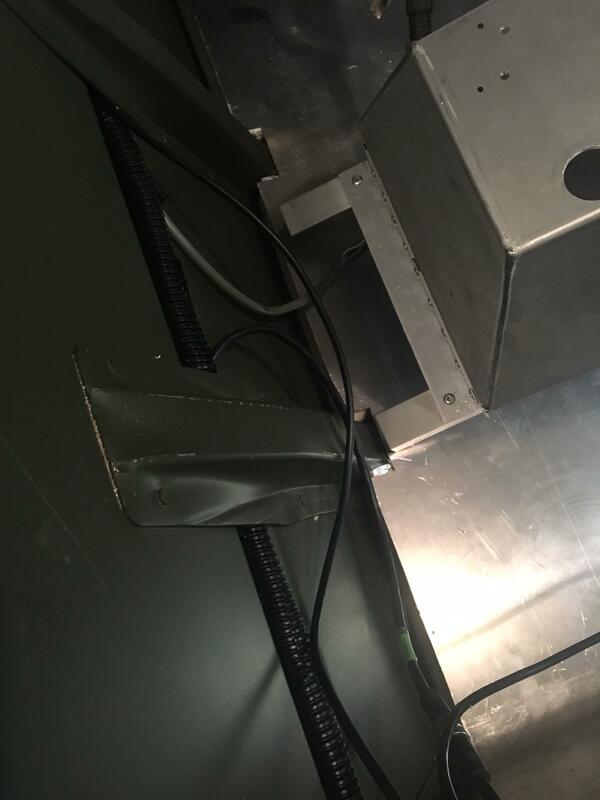 But I still want a main inline power switch to be safe. No lights for now, but once they are, the initial plan is to have them on a dedicated 12 volt battery for electronics, audio, etc. 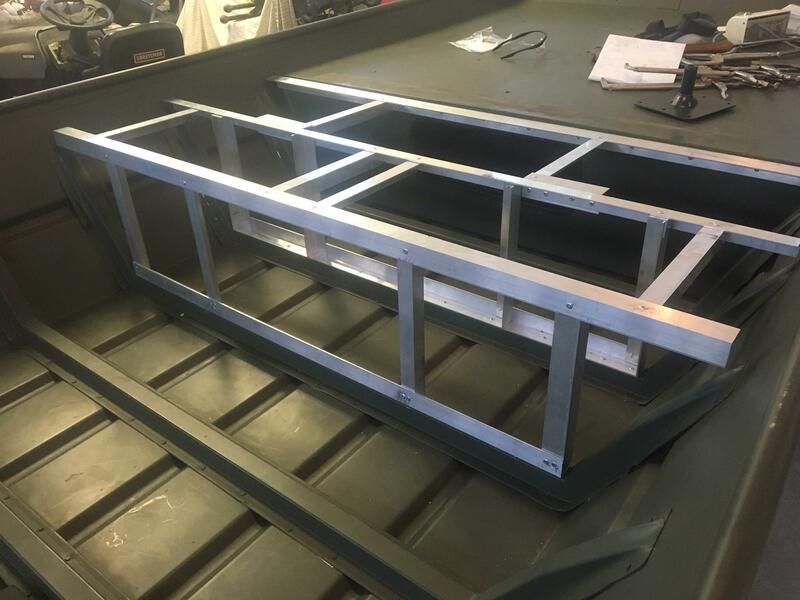 Small update, front deck/battery compartment framing is done. It is surprisingly solid and probably overkill but I wanted it as strong and solid as could be. I'm really happy with how it turned out. Also, I have decided to make an extension off the back deck too. 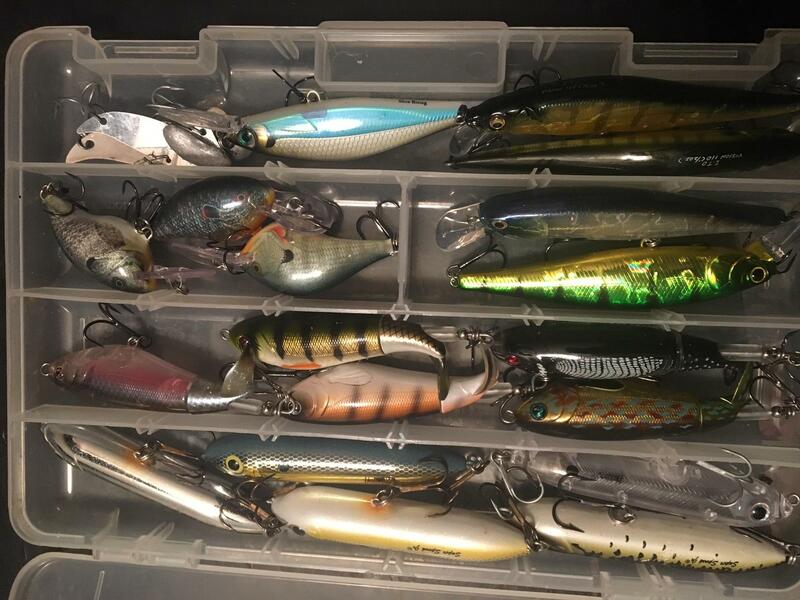 This will provide a bigger casting deck for the fisher off the back and allows me to divide my batteries for the Ray 48 volt between the two compartments. I was a little worried about having all 8 6 volt batteries up front so this provides flexibility and options to balance the weight out. Hoping to get the back deck and plug/compartment area framed this week/weekend, followed by aluminum sheet and carpet shortly thereafter. 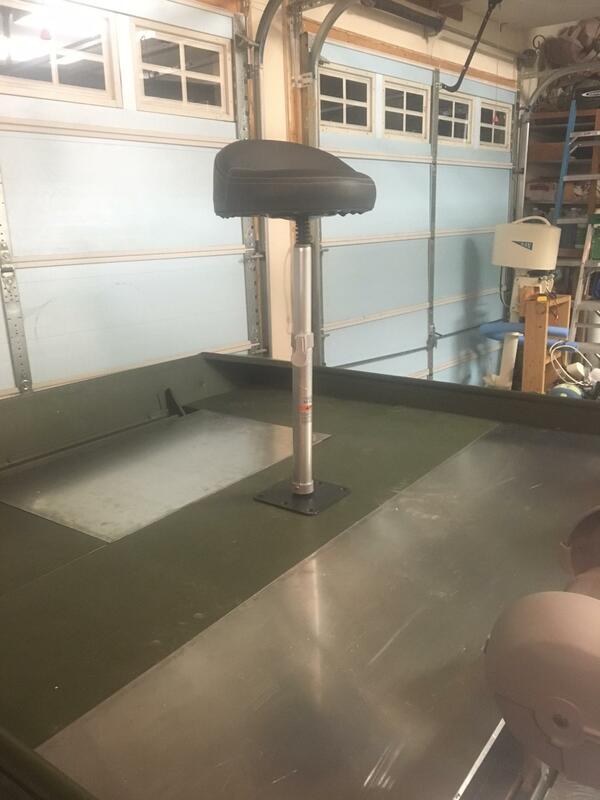 I ended up purchasing 2 7''x 7'' seat bases and 2 13'' economy seat pedestals from Springfield Marine Scratch and Dent. Bases will go on the front and back decks and pedestals will be mounted on the floor, just in front of the back deck extension. Minimal to no scratches and quite discounted so I am happy with the purchase. I'll post my progress after the weekend. Back deck extension framed out and about halfway done the plug area framing. 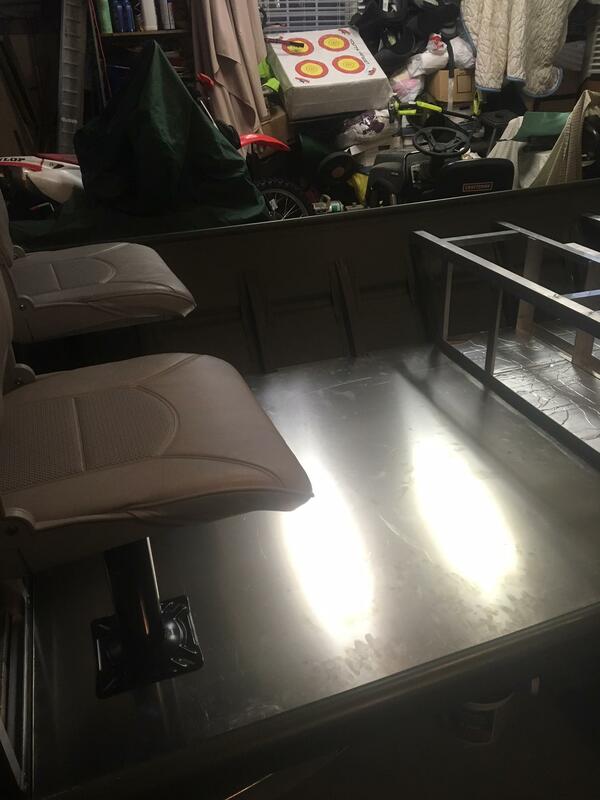 Biting the bullet tonight and purchasing the aluminum sheet, console, and seats. 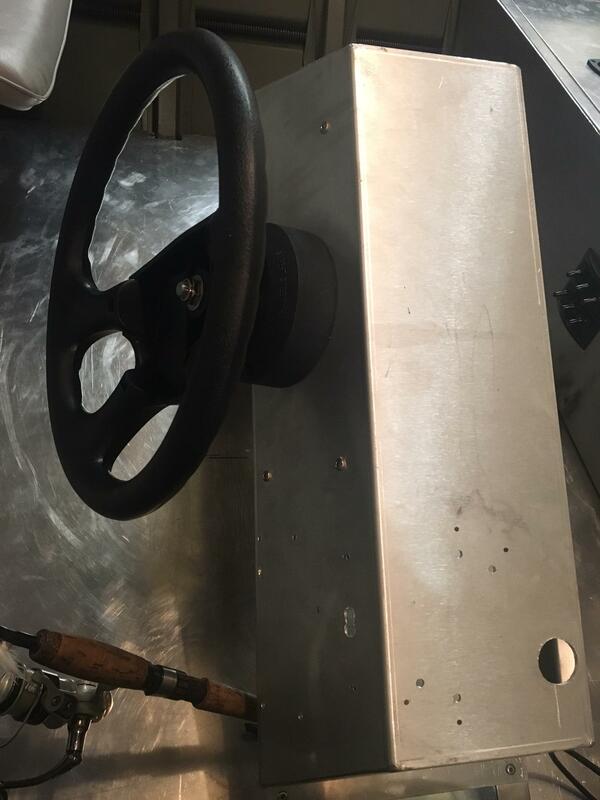 This should let me mock up the seating and steering setup so that I can purchase the steering kit with the correct length cable. Took off Thursday and have Friday off so Im hoping to receive/pick-up most of the purchases and get some work done. I'll follow up a week from now with my progress. 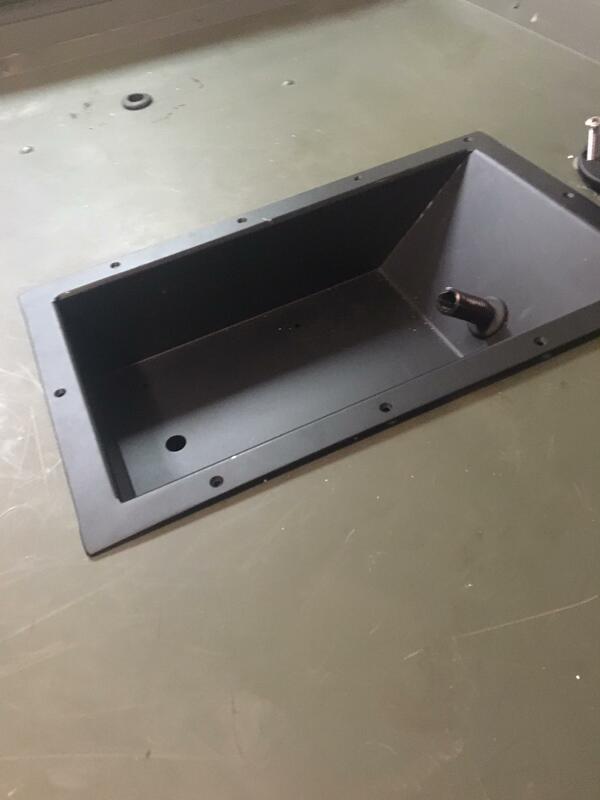 Back Deck extension/battery compartments with seat mount mocked up. Might put the base where you see it or on the bench seat, or in the plug area, not sure yet. Little bit of improvisation on the framing of the plug area but I think it will work. Ran out of rivets so just need to pick up more and finish up. Forgot to post my progress from my extended weekend, so here it is now. 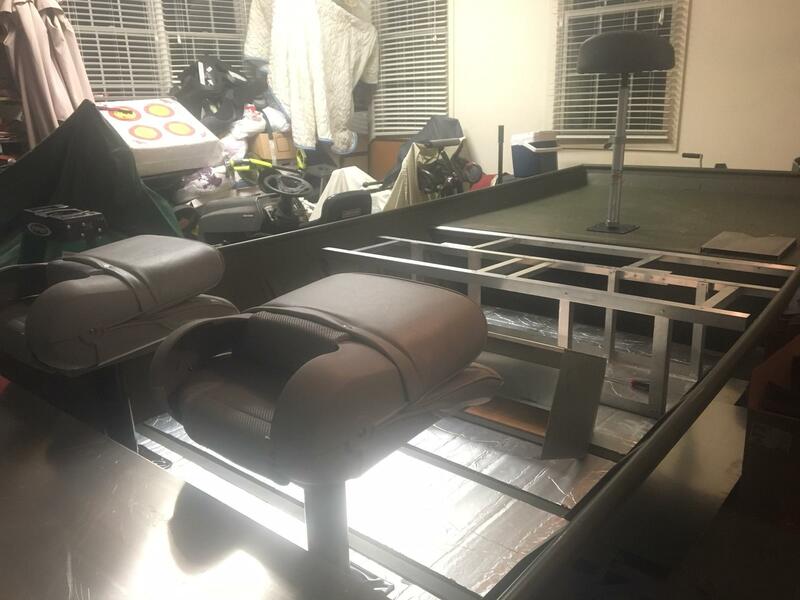 Received a lot of items for the build this week: picked up the aluminum sheet for floor and decking, foam for subfloor, seats, pedestals, console, carpet and a couple other items. Was able to get the back deck aluminum cut to size, the main floor notched for the ribs, holes cut for seat bases. Did a good bit of mocking the layout to see what length cable I need for the steering kit. Also trying to figure out how best to utilize the console. I don't like where it sits if I try to tie into the rail as it is intended to be used. It's too low, completely off center and looks strange. I'm thinking about cutting legs to size out of aluminum angle so I can get it to sit just as I want it to. In the picture with the console on the front deck, you can see I clamped the piece that is supposed to be an extension of the left side of the console, onto the right side. I may just rivet it as you see it and cut legs to size so its at the right height and can sit directly and comfortably in front of the driver seat. Testing out rods on front deck and view of the console. Thinking about getting these for rods on the front deck, the poly rod strap version. Anybody able to recommend or speak to these? 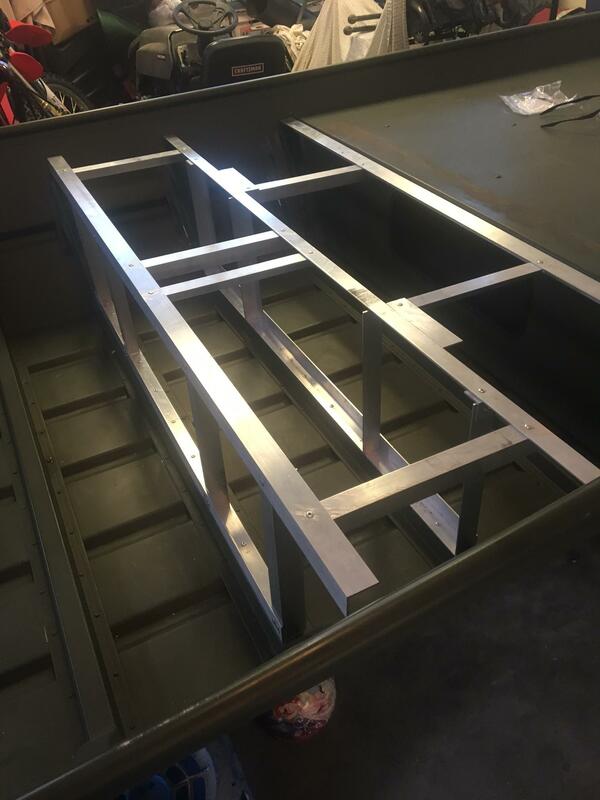 Hoping to get the rest of the aluminum sheet for decking cut to size this weekend, figure out my plan for the console and maybe knock out a couple of the cuts for the hatches. 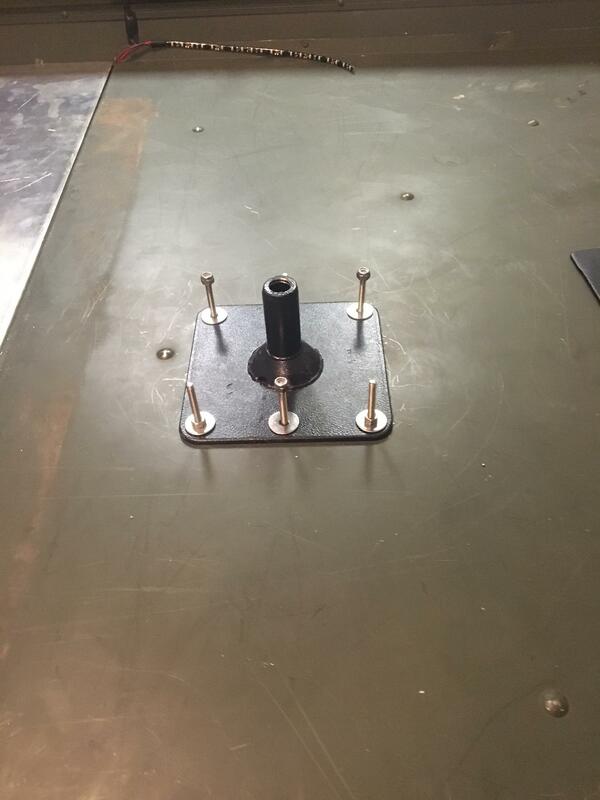 Might also pull the trigger on a trolling motor pedal tray for the front deck. I have all framing done, all aluminum sheet for decking and floor is cut to size. just need to rivet down secure to framing and apply carpet. Hatches have been cut too. I ended up doing 3 hatches in the front and 3 in the back. 2 in the back will be for 8x6V batteries or the outboard, while the other will be for storage and access to the plug. 48v, rated 200A DC rated switch for outboard, just needs to be mounted when I get the batteries in place and wired. 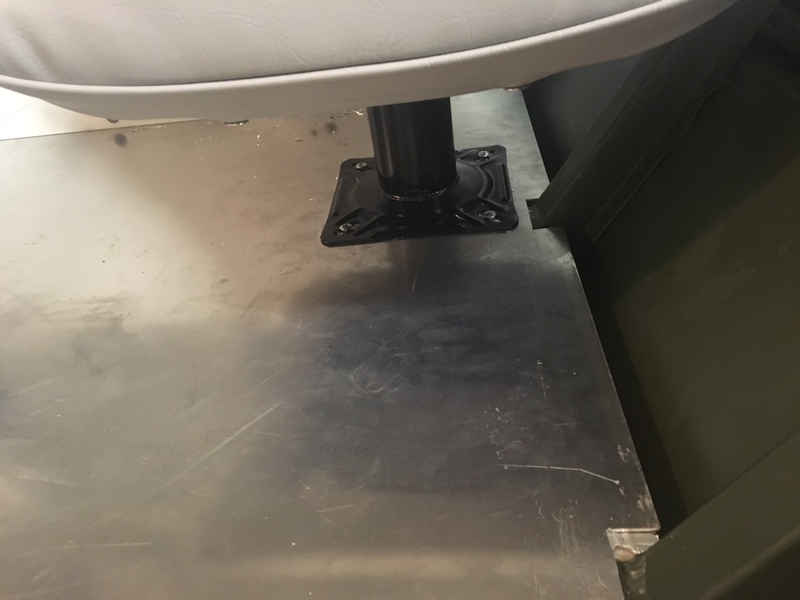 I installed some grommets on the metal areas where I plan to route wire underneath the deck. 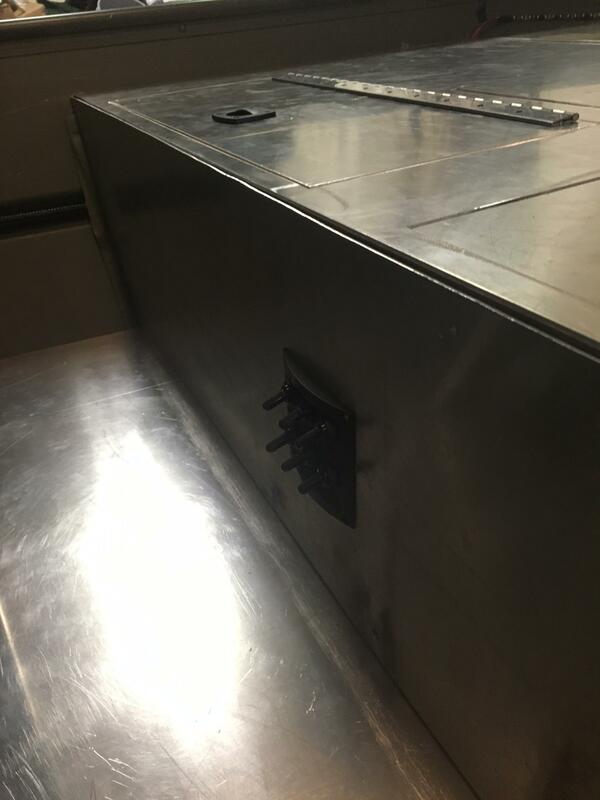 Also installed grommets on top of the deck for any wire needing to run from above to underneath. 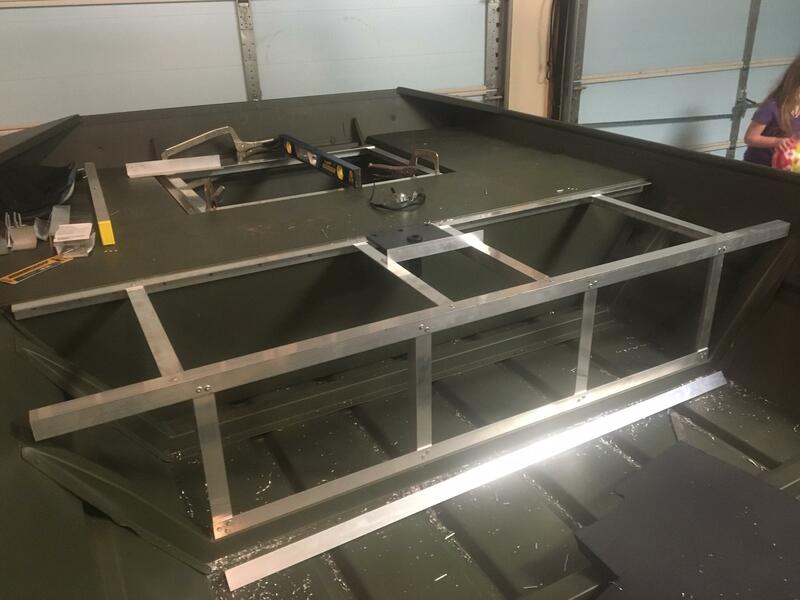 Front hatches for tackle storage and trolling motor/electronics batteries. 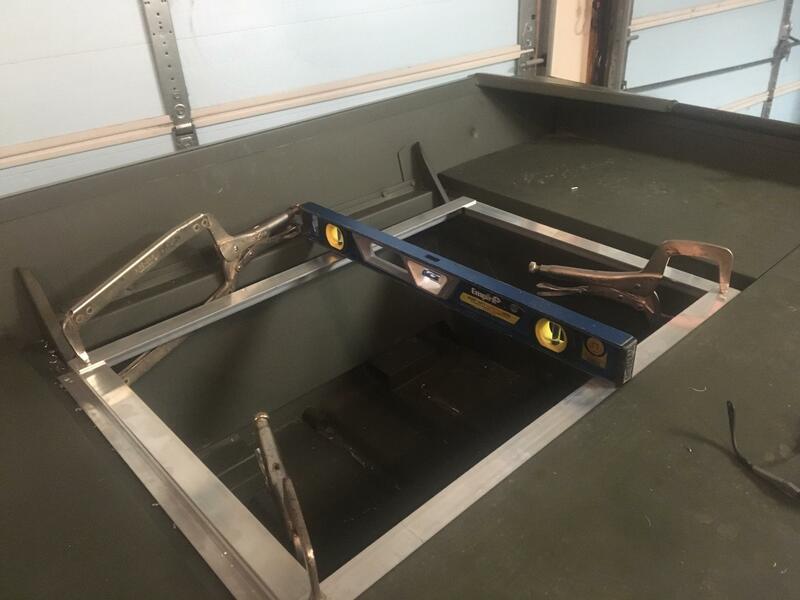 I cut for standard hatch pulls and have piano hinges cut to size for each hatch, debating on installing gas pistons I bought for the hatches and swapping the standard hatch pulls for locking hatch pulls to keep the lightweight lids closed. Haven't made a final decision on that. I purchased the bow mount trolling motor, a Minnkota Maxxum Variable Speed, 70 lb. thrust,42'' shaft. 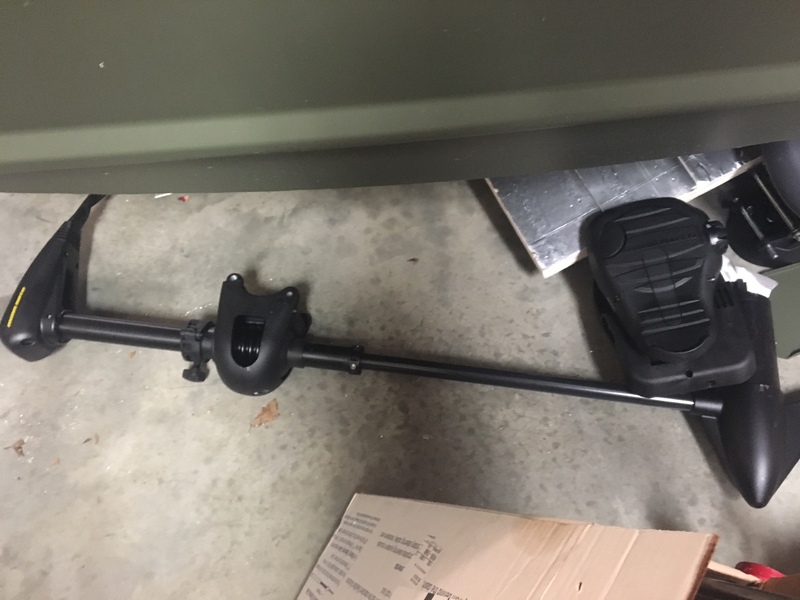 Bought the Alumacraft trolling motor mount from AK McCallum that I saw on wmk0002's post for the same hull. Mocked up the TM and mount. Bought two Humminbird Helix 9'' depth finders, a side imaging unit for the console and down imaging unit for the bow. 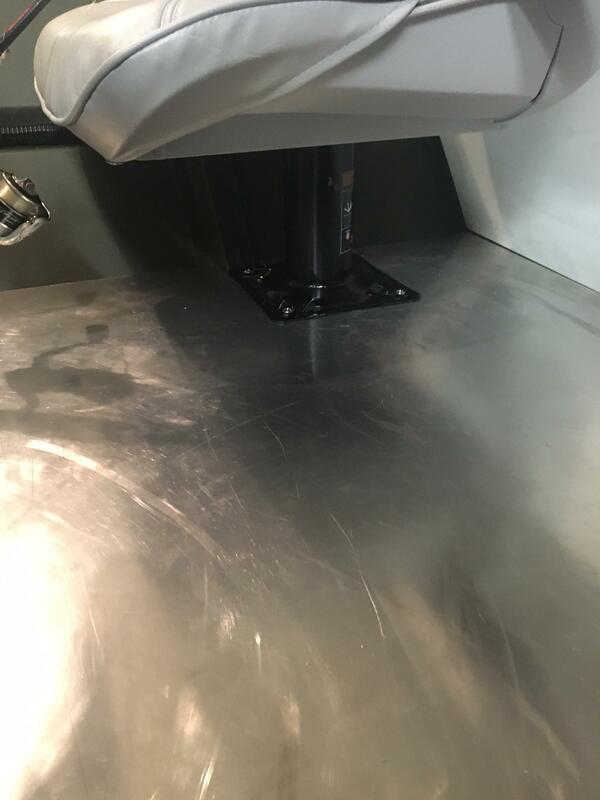 Upgraded the stock transducers for the HD side imaging to be mounted on the transom and Down Imaging Wide transducer that is made for mounting to the trolling motor. Also bought a Ram Mount for the bow DI unit so it sits a bit higher. 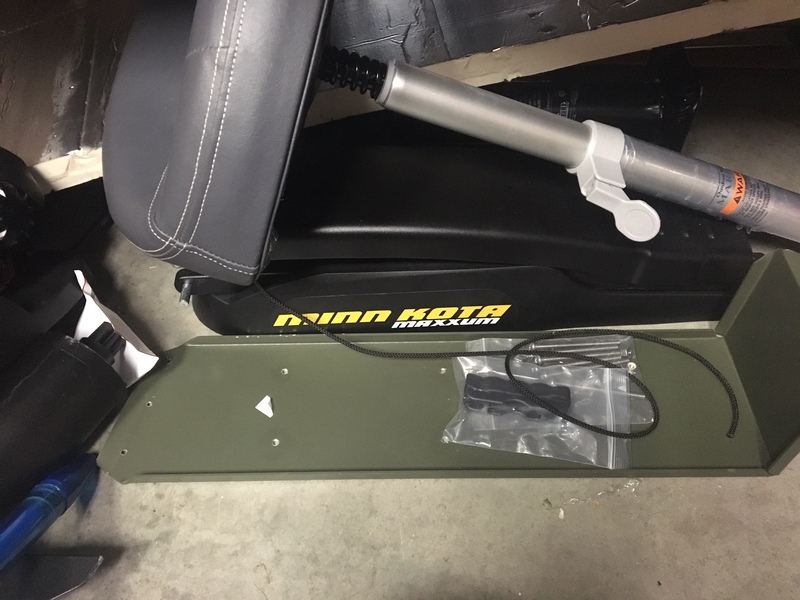 Trolling motor pedal tray ready to be secured after carpet. Decided I would put a switch for the Hummininbird units, Nav lights and LED deck lights. 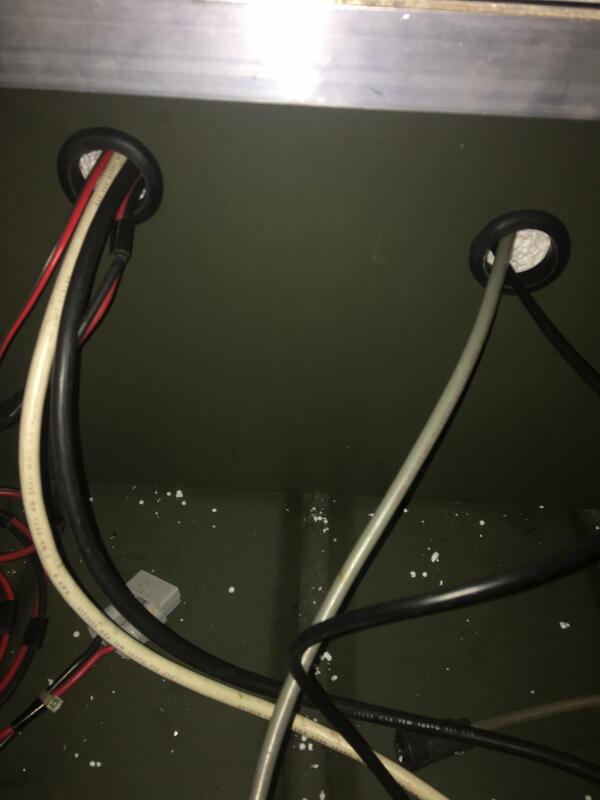 Have all the wire run and terminated to the switch for lighting, still need to finish running power wire and terminating/installing in-line fuse connections for power for the Humminbirds. Bought the wrong size in-line fuse holders for the 3 amp fuses recommended for the Humminbirds. Also have the seat mounting figured out and implemented. Front deck leaning post mocked and ready, back post just needs holes pre-drilled so that I can install the 1/4''-20 self tappers after carpet, since I don't have access for bolts/nuts for back deck leaning post. 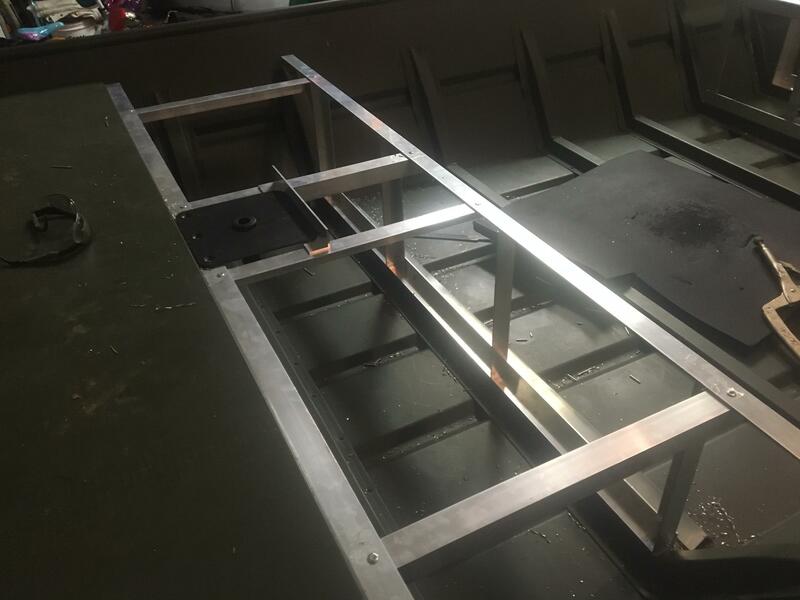 Console is pre-drilled and mocked up for the electric outboard controls, steering wheel/helm/cable. Pre-drilled for SI unit to be mounted on top of the console. Also bought a 48V battery "fuel gauge" that I mocked and drilled (and messed up but won't see that when mounted) for on the console. Connection for the console to gunwhale also figured out and close to finished. Working to get it to a point where I can prime, paint and install with a couple screws and rivets after the carpet install. 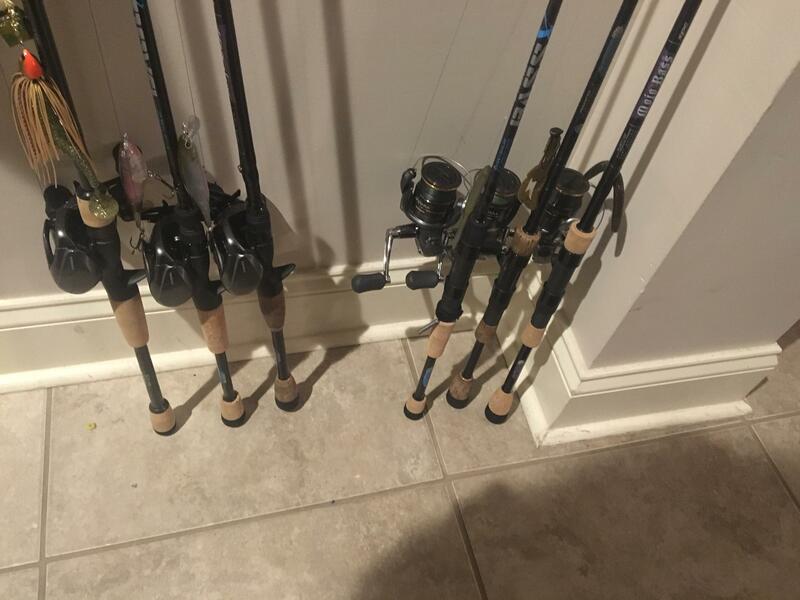 Getting my rods, reels and tackle ready too. Update coming soon with carpet install, prime/paint of console, installation of electronics, TM, lighting, batteries, remaining wiring. Last edited by MD_Electric_Bass on 11 Feb 2017, 07:11, edited 1 time in total. Really interested what kind of speed you would get out of this setup. Have you looked at Torquedo motors at all? Stink, I consulted a reputable electric boat builder in the area before I bought the Ray 48v and he suggested that, with the hull I have, I wouldn't get more than 5 mph. My hope is that I can simply scoot around at a fairly decent pace(relatively speaking for electric) from point A to point B with the Ray, and then get on the bow TM and rip some lips.